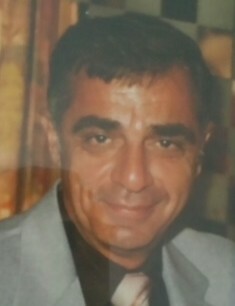 Michael J. DeBiasi of Revere St., Winthrop passed away at home on November 29, 2018. He was 86 years old. Born in East Boston he was the beloved son of the late Ida A. (DeMaio) and Michael F. DeBiasi. He resided in East Boston before moving to Winthrop at the age of 8. He attended Winthrop Schools and was a 1950 graduate of Winthrop High School where he played quarterback for the football team and also played on the basketball team. He worked at Hamm's at an early age before serving in the United States Coast Guard during the Korean War. After his honorable discharge he went on to work as a technical aide at Polaroid. He was a former member of the Winthrop Lodge of Elks. He loved all Boston sports teams, especially the New England Patriots. He was the devoted husband of Jean M. (Saulnier) and the loving father of Michael DeBiasi and his companion Roberta of Nahant, James DeBiasi and his wife Diane of Peabody and Susan DeBiasi of Winthrop. Dear brother of Doris Vecchia of Winthrop, Marie Bernstein of Winthrop and the late Stephen DeBiasi. Cherished grandfather of Michael, James and Daniel. Great grandfather of Connor and Brady. Family and friends are cordially invited to attend the visitation from the funeral home on Sunday, December 2, 2018 from 3:00 to 7:00 PM. The funeral will be conducted from the funeral home on Monday, December 3, 2018 at 9:00 AM followed by a funeral mass in St. John the Evangelist Church 320 Winthrop St., Winthrop at 10:00 AM. Interment to follow the mass in the Belle Isle section of Winthrop Cemetery.